St. Louis is a city with about 320 thousand residents, located in the American Midwest on the Mississippi River, for which it is a major port. This city is located at the eastern edge of the state of Missouri, and across the river from East St. Louis, Illinois. These cities, combined with others around St. Louis, form the Greater St. Louis area, which is home to nearly 3 million people. St. Louis was named in honor of King Louis IX, the only King of France to be granted sainthood by the church. In 1870, St. Louis was the 4th biggest city in the country, but its population has been declining steadily for the last 65 years. This city is famous worldwide as the site of the Gateway Arch monument, which symbolizes America's expansion from the Atlantic Ocean through the Midwest, and to the Pacific Ocean. If you are traveling to St. Louis and would like to book a cheap car rental, VroomVroomVroom can help you to find the lowest rates available! We help people every day to find the cheapest St. Louis car rental rates as well as affordable trucks and SUVs. The major car rental companies in St. Louis, including Avis, Budget, Enterprise, Hertz, and Thrifty, that work with us have almost every vehicle you could ever want to drive available, provided that you are booking in advance. 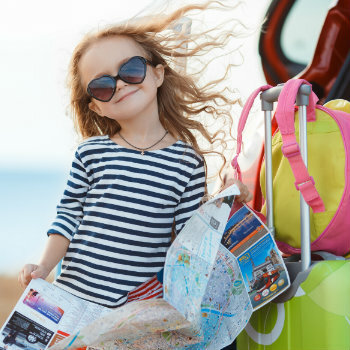 That's the best advice we give everyone: book early and you can get a really great deal on rental cars! We charge no booking fees! There is no cancellation fee up to 48 hours prior to departure. Comparing rates from all the rental car companies saves money and time! You can always feel safe entering your personal info, because our secure website is encrypted! If you need assistance in booking your car rental in St. Louis, contact us and we will be happy to help you. St. Louis is an autonomous city of Missouri State located in the United States. St Louis metropolis is famous for its German and French heritage. With the turn of 21st century, this city has transmitted from being an industrial and manufacturing economy into worldwide famous venue for carrying out research in the branch of science, biotechnology and medicine. 1. A land of Museums: Innumerable museums as well as attractions are found in this city, one famous amongst them is the St. Louis Art Museum. It is a very ancient museum and perhaps, opened in 1904. It houses inspiring varieties of erstwhile artifacts and modern art. Besides, it is home to a broad collection of original works including paintings of Pissarro and Vincent Van Gogh. For more information on the Museum click on the link. 2. Visit the Panoramic Grant's Farm: Originally a farming land, but now a major tourist spot, this farm houses numerous exotic as well as endangered animals. A visitor can take a tour of the land and view the animals, as well as attend the shows and go down memory lane by browsing the souvenirs at gift shops. For more information on the Farm click on the link. 3. Spend a day at the St. Louis Zoo: It is the 3rd largest zoo of the country, spanning to 90 acres of land and housing more than 700 animals. It is a complete family spot, which is open to the visitors all through the year. For more information on the Zoo click on the link. 4. Visit the Gateway Arch: It is the most popular tourist destination, for past few years. It accomplishes a height of 630 ft. and from its roof, approximately 30 miles of panorama can be viewed. For more information on the Arch click on the link. 5. Paradise for History lovers: Forest Park is a paradise for history lovers throughout the globe. Besides picnicking, walking and other such recreational activities are offered by this park. Crestwood Missouri is mostly residential and renowned for its public recreational opportunities. Parks abound with all facilities of healthy sports. Almost 97% of population is white of which 37% are German and 17% are of Irish descent. No major industrial activity exists in the city. 1. Visit a historical landmark: The Sappington House is the historical landmark of Crestwood. Built in 1808 by Thomas Sappington, it is the first brick house of the county and a glaring example of federal architecture. It was restored in 1963, preserving its furniture and belongings and opened for public viewing. 2. See a farm and a village: The small Grantwood village near Crestwood has an interesting Grant Farm. Visitors can visit the farm during summers to behold interesting sites of wandering buffaloes, deer and zebras. Whole day picnic for families and kids provide ample opportunities to observe the activities of the animals in natural backdrop. The 40 acres of wooded park is a haven for comfort and peace seekers and adventure lovers at the same time. The walk on the pathways and trails and wilderness adventures inside the scenic grooves and remarkable surrounding is a sure seduction. An old abandoned quarry has also been preserved to give insights into the past. 3. Tone up the body: Imagine all the fitness amenities under one roof. Crestwood Community Centre, comprising 2200 sq ft includes a fitness room and gymnasium with state of the art facilities and amenities. Meeting room and family functions and events halls, dance gym also feature the community club, making it a much sought after place. Seasonal festivals and holiday events make the occasions colourful and enthralling. 4. Have a splash: Water sports and activities are also offered at the Aquatic Centre. The unrivalled multi purpose pool is open all the year through offering exciting water sports. 5. A park with a difference: An abandoned quarry has been turned into a beautiful 85 acre park with 40 acres of trees and grass. This is an ideal place to get away from the chaos of the adjacent city.